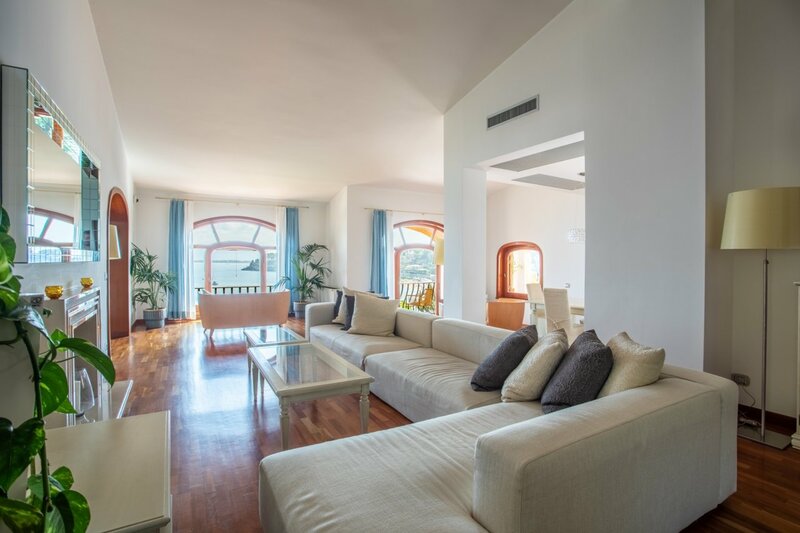 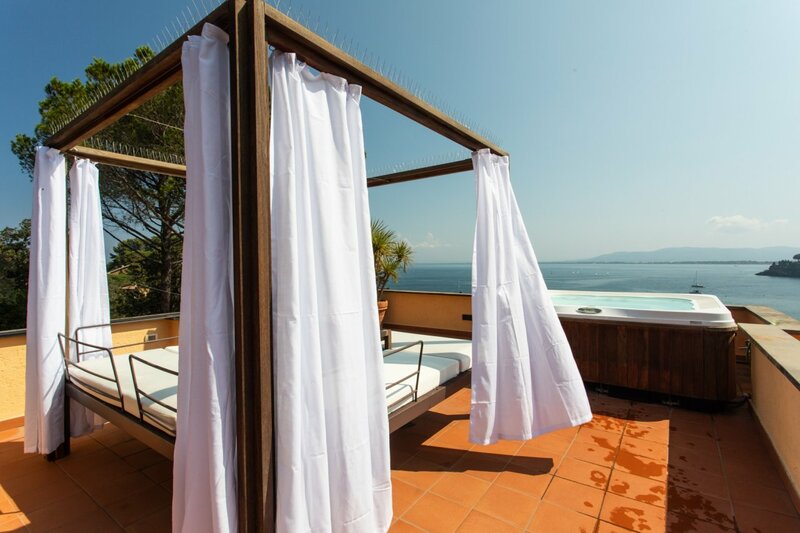 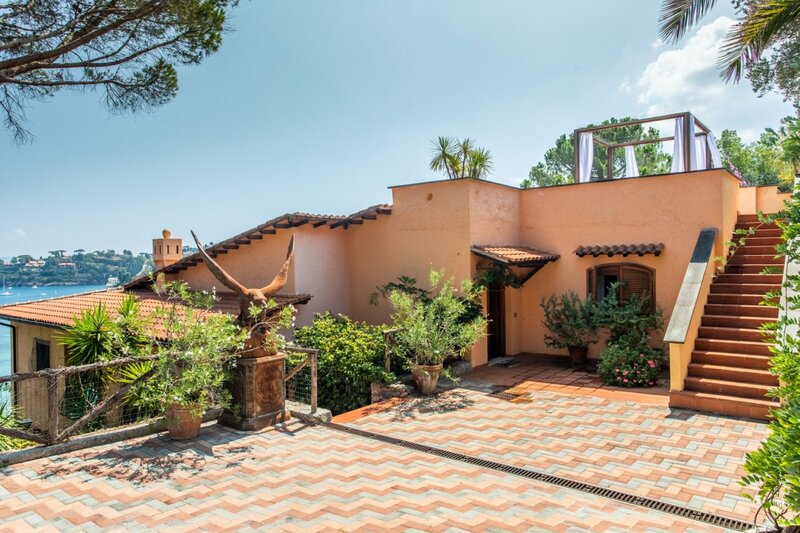 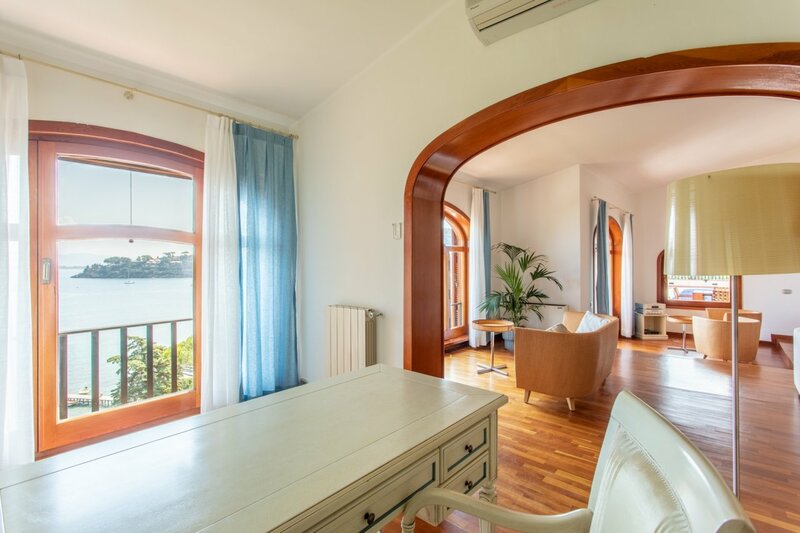 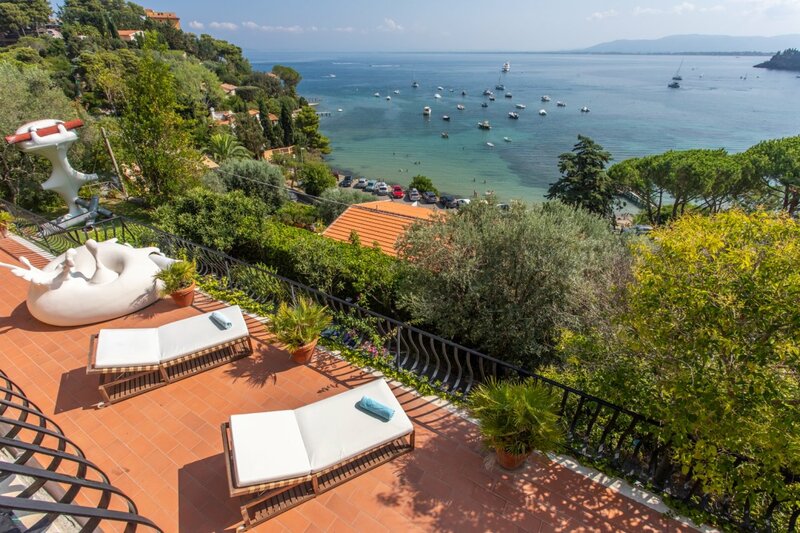 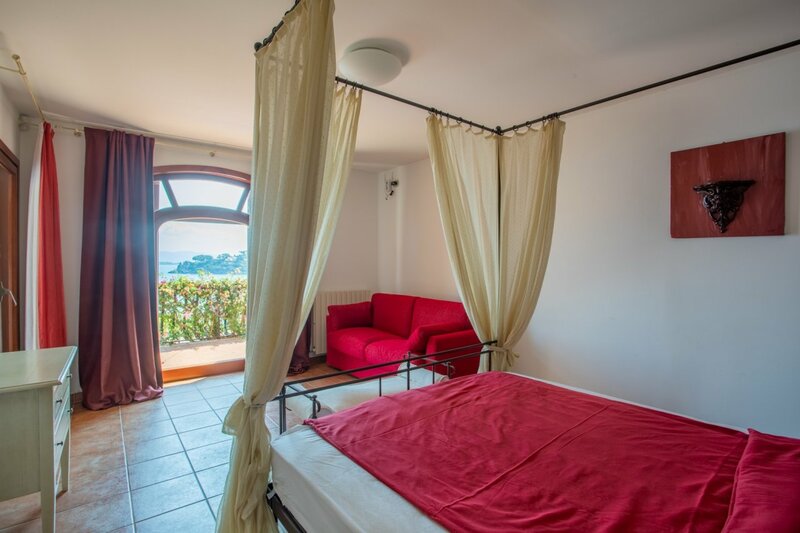 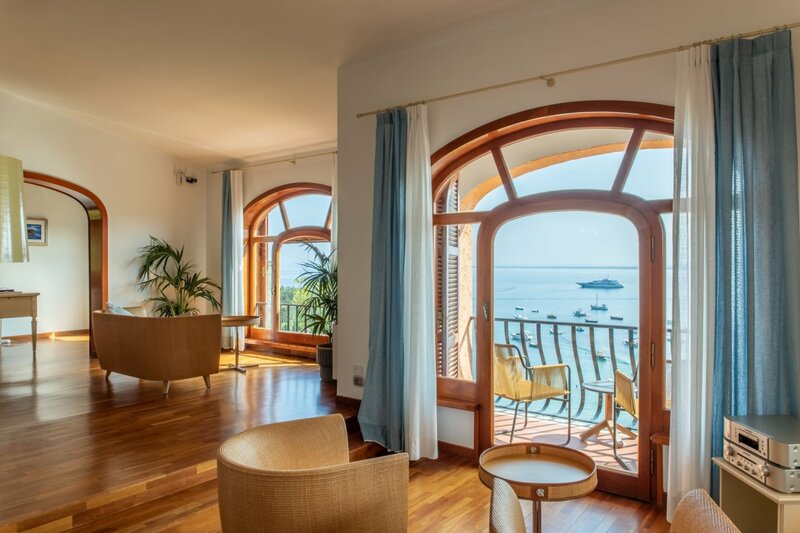 This beautiful villa lies on the coasts of Monte Argentario, whose beauty and geographic position have fascinated and favored the settlements since Roman times. 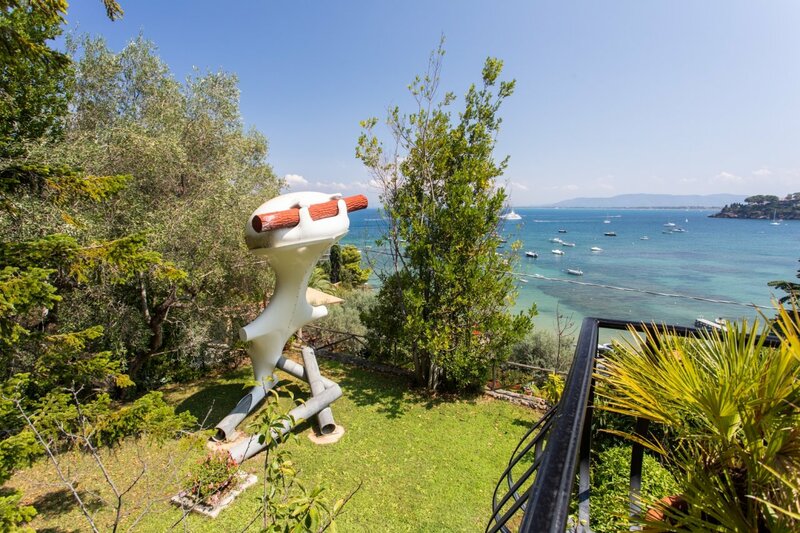 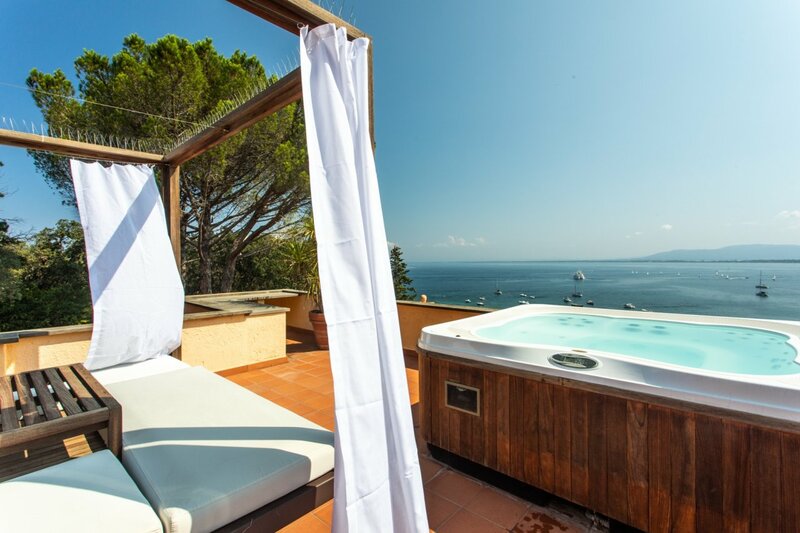 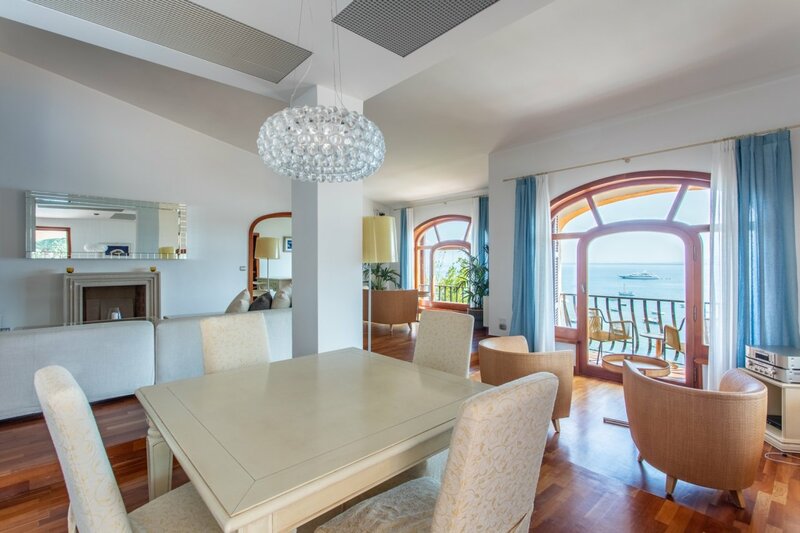 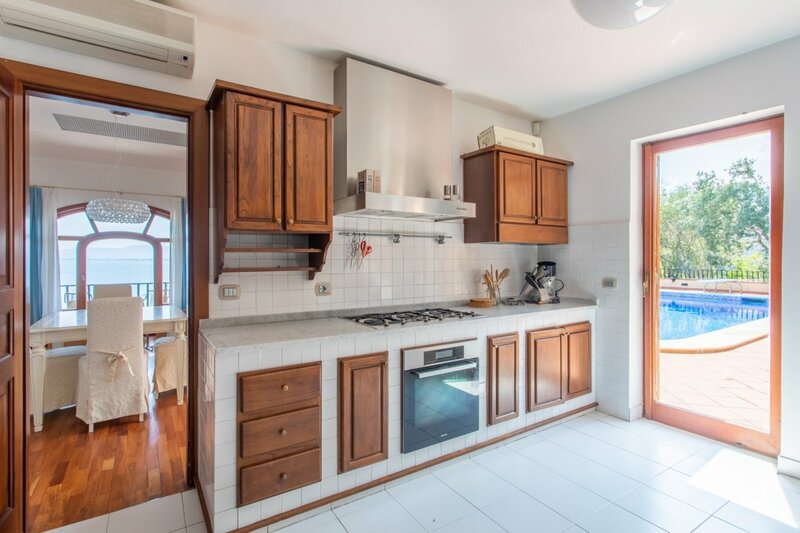 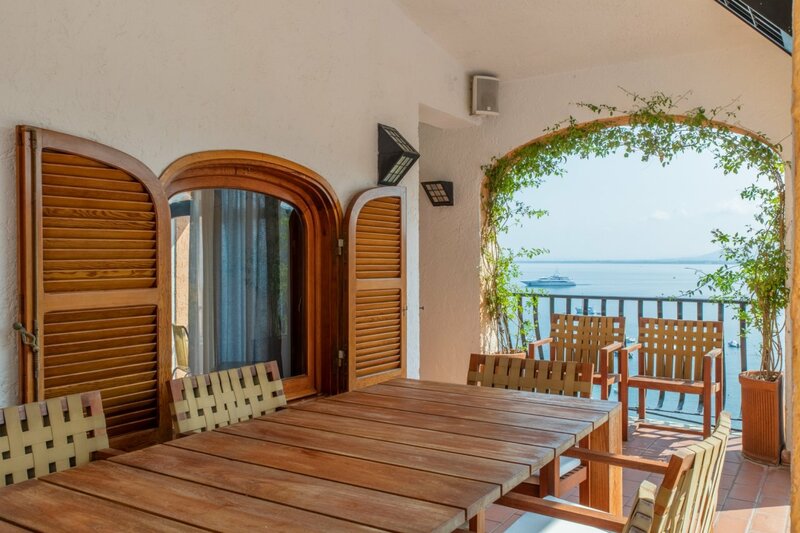 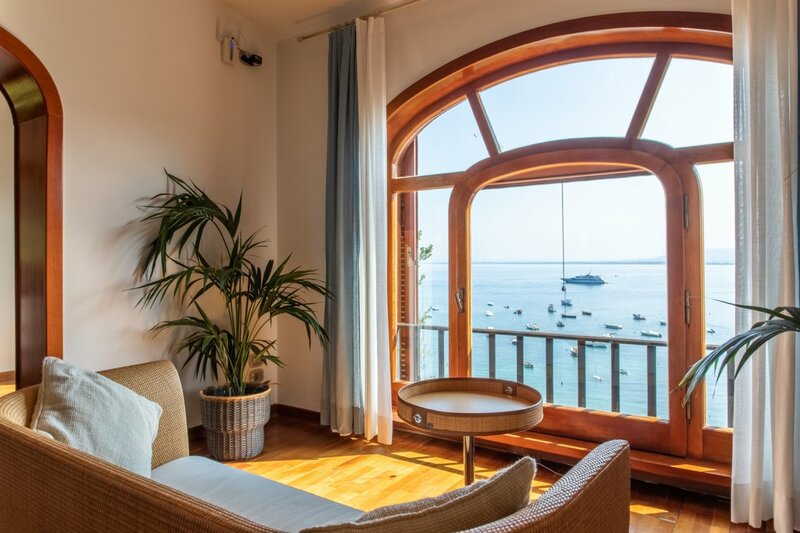 The property overlooks the Gulf of Talamone and the Pozzarello beach with its crystal sea. 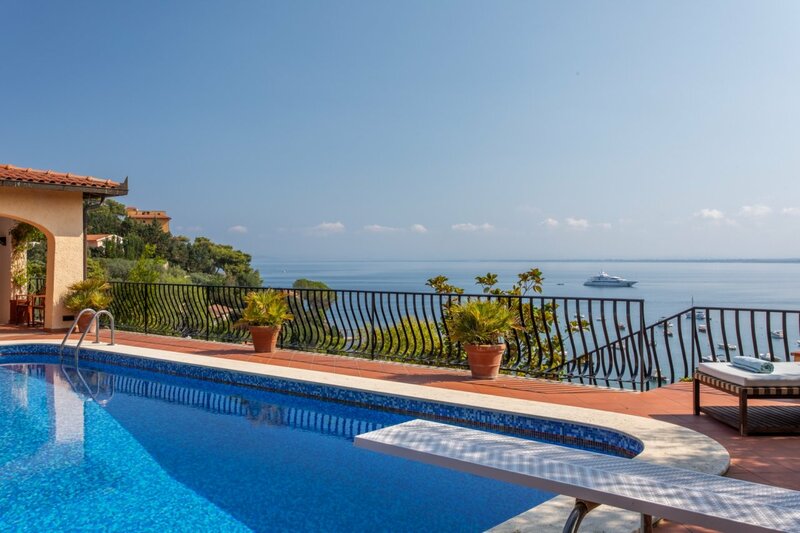 The villa is on three levels. 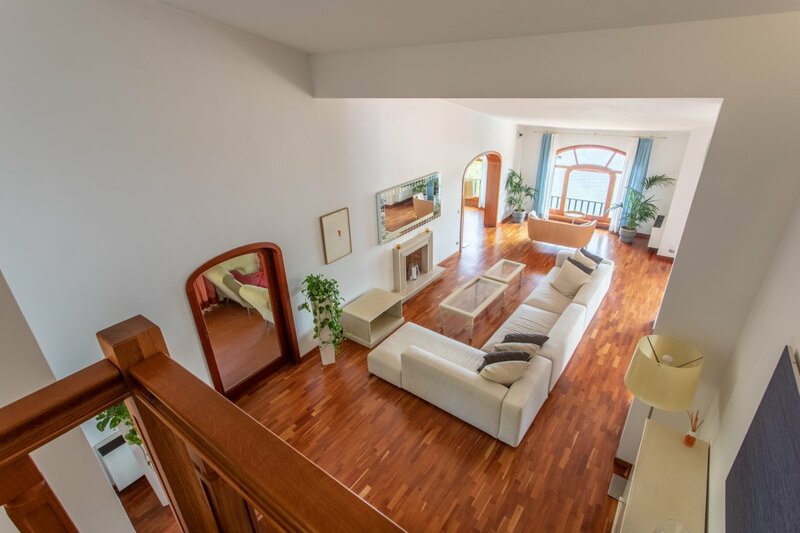 The first floor features a large living room, a TV room, a study and a kitchen with adjoining laundry and pantry. 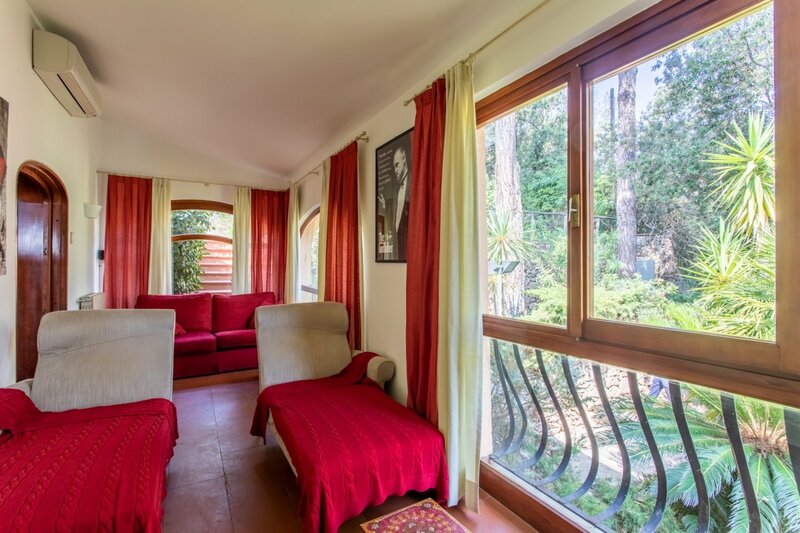 The windows of the living room lead to a terrace where there is a porch with the pool. 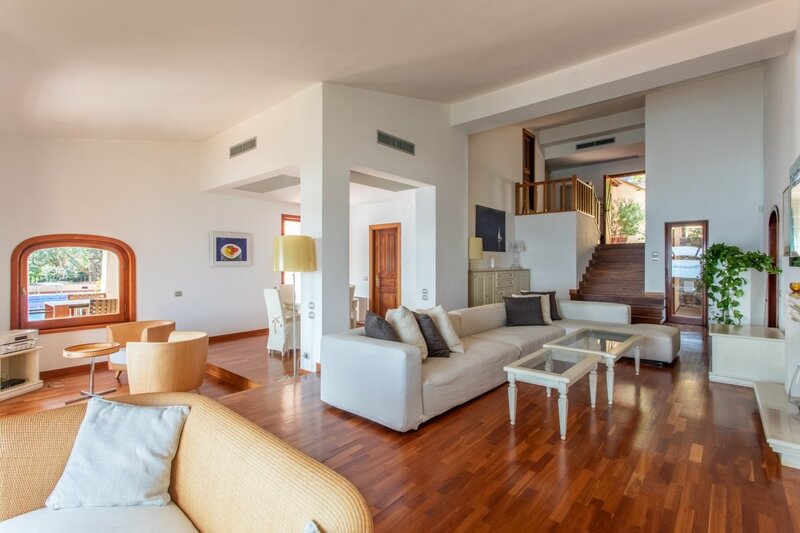 On the second floor there are four bedrooms, one with a terrace and each one with its own bathroom. 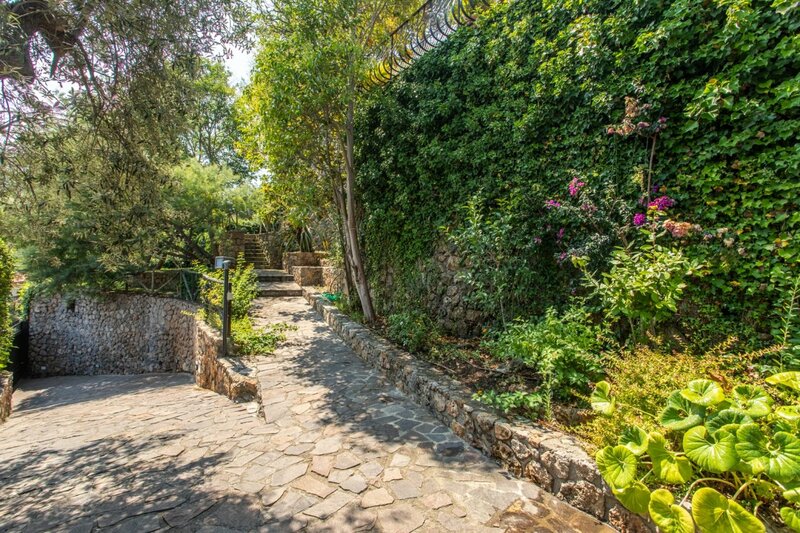 A corridor leads to a porch where a stair allow access to the pool. 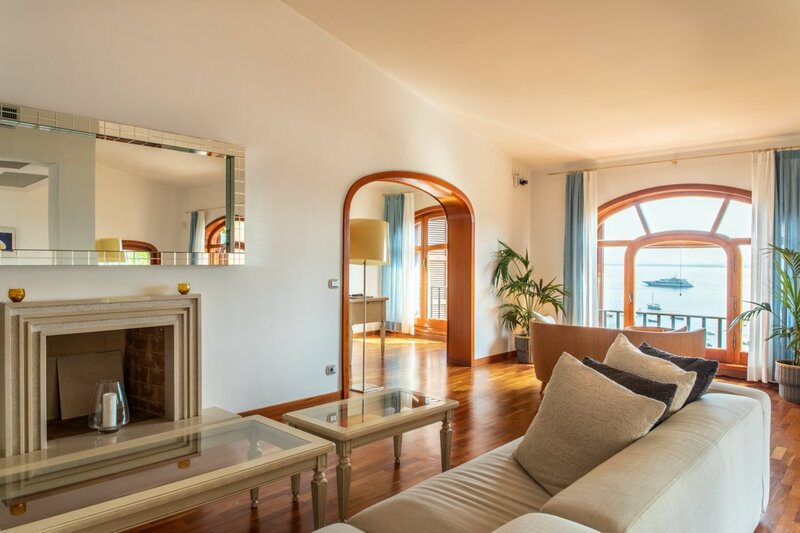 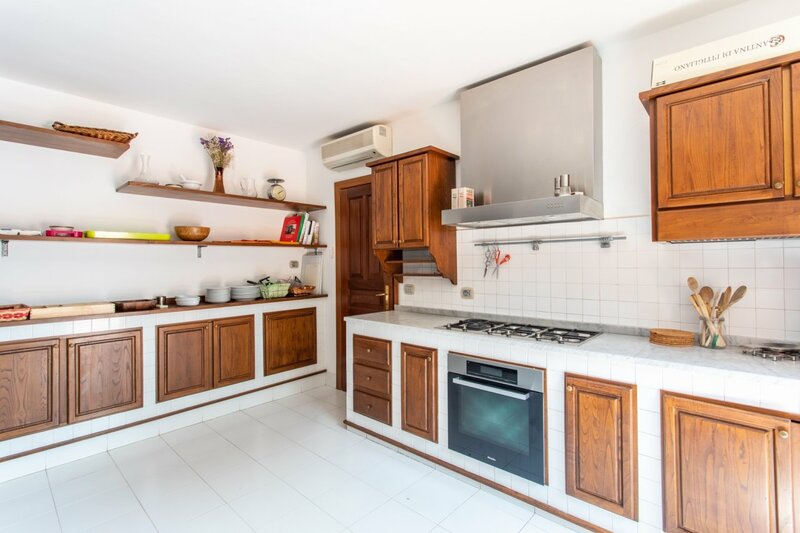 On the ground floor there is an apartment with a living room, a kitchenette and two double bedrooms with en-suite bathroom. 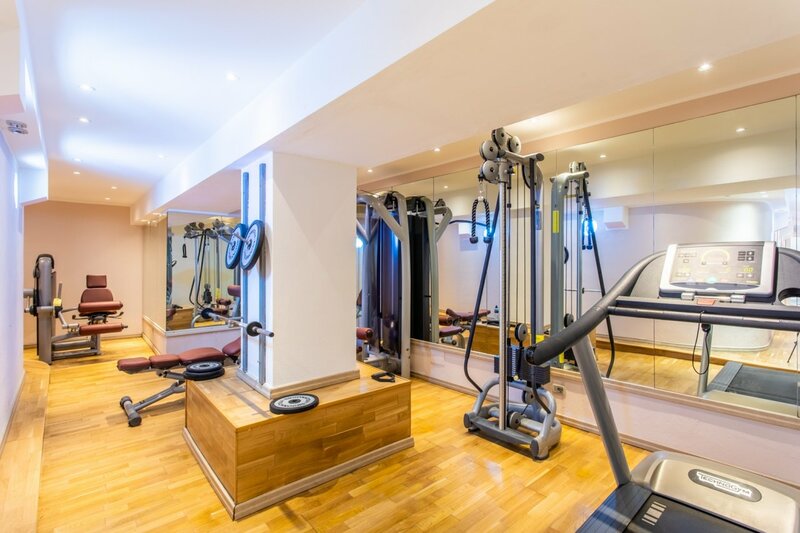 A sauna, a fitness area and a 1000 square meter garden complete the property.